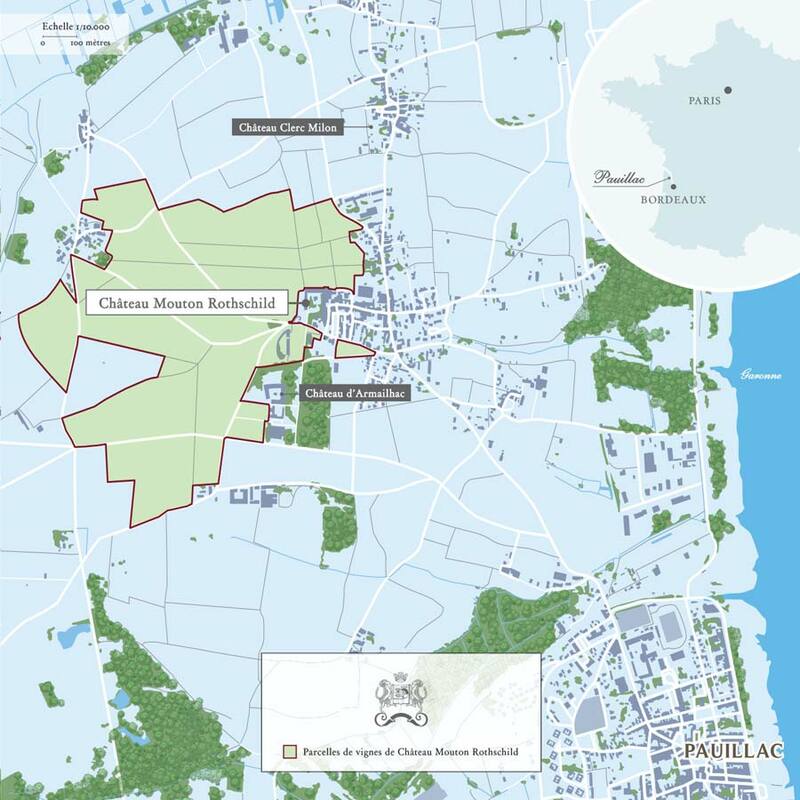 2004 occupies a special place in our memories since it marks the Centenary of the Entente Cordiale, concluded by Britain and France on 8 April 1904. King Edward VII is known to have played a prominent part in the agreement, which would herald a genuine alliance during the First World War and forever transform two rival powers into sisters by choice. The commemoration of such an important milestone in Franco-British relations was the occasion for many celebrations in 2004, culminating in official visits by both Heads of State. That is the spirit in which Baroness Philippine de Rothschild approached HRH The Prince of Wales, a talented artist and a direct descendant of Edward VII. 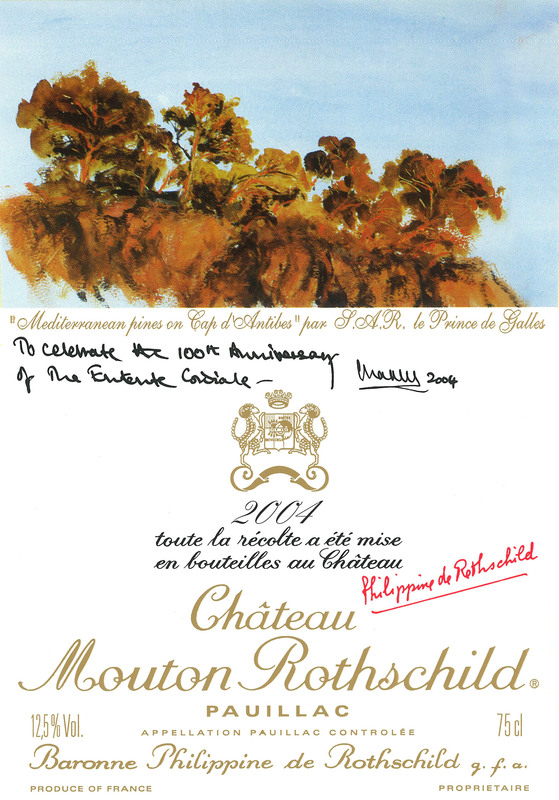 The Prince agreed that the label for Mouton Rothschild 2004 could be illustrated with one of his watercolours, inspired by a French landscape, in celebration of the Entente Cordiale. He has added in his own hand: «To celebrate the 100th Anniversary of the Entente Cordiale – Charles, 2004». Standing out against an azure sky, rooted in the depths of the soil, the pines depicted by the artist are in the image of the vine, fruit of the ever bountiful union of the sun and the earth.